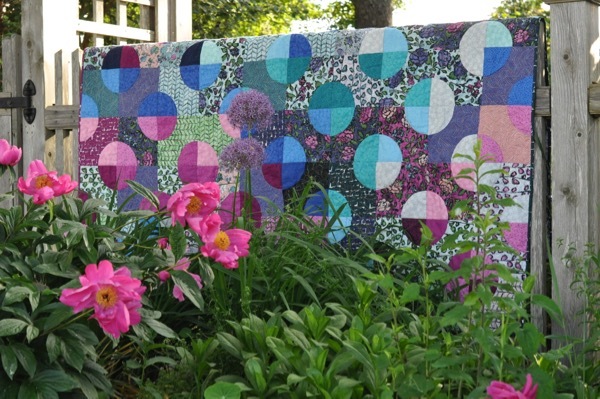 I am calling this quilt, ‘Connect the Dots!’, because it does just that! I made this quilt with several intentions in mind. First, I wanted to demonstrate how Florabunda! can be used. Then, I wanted to make connections with the offerings of my good friends. 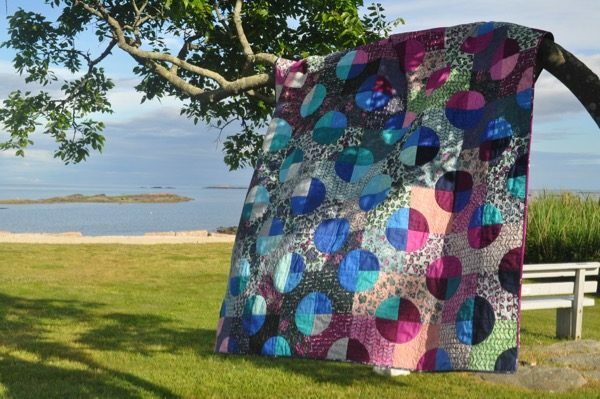 This quilt pairs Florabunda! with Jamie Fingal’s Hopscotch. Hopscotch is a huge line of low volume prints in a plethora of colors and values. It was easy to choose fabrics from this line. Jamie’s prints help elevate the visual impact of Florabunda! I couldn’t be happier to say, Jamie is a good friend of mine. Using her fabrics alongside mine is meaningful to me in so many ways. Jamie and I often meet up and share a meal with friends at Quilt Festival, retreats, and venues we might teach at together. I cherish the friendships and female connection these dinners cultivate. We all meet up, as friends and fellow artists, to laugh and toast. We celebrate milestones together. We are good friends. Jamie curates a show called Dinner at Eight along with Leslie Tucker Jenison (also on this Hop and an RJR Designer). Jamie shows up and makes good things happen. 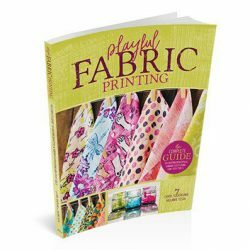 Then, I have been improving my more traditional quilting skills by exploring Victoria Findlay Wolfe’s books, taking her classes and using her templates. I used Victoria’s Bow Tie template to make ‘Connect the Dots’. 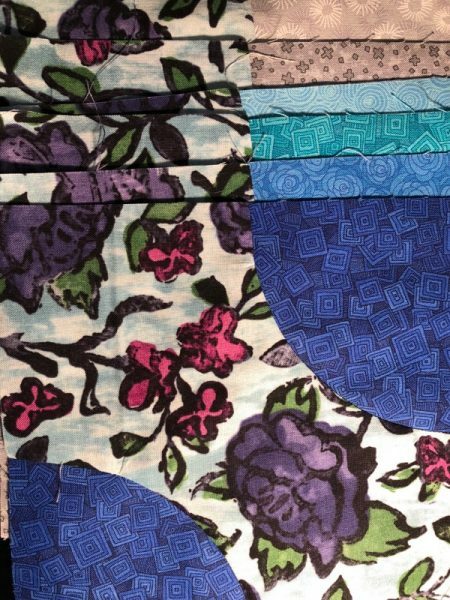 In making this quilt, I learned about and fell in love with sewing curves. I thank Victoria’s teach style and skill for this. If ever, you have told yourself that, ‘curves are too difficult’ for you? Buy the Bow Tie template along with the Mirror Ball Pattern, read the pattern from start to finish, twice. Cut one block, sew one block. That’s it. That’s what I did. It’s so easy. I am disappointed I ever told myself curves were difficult. I could have been making dotty quilts a long time ago! All of which is to say, I see love, and female friendship, and a shared love of quilting, when I see these fabrics and templates used together. This truly is a #quiltwithlove connection. The other things I learned in the making of this quilt? free-motion stitch in the ditch <—useful! At one point, the dots were PUFFY, no more. 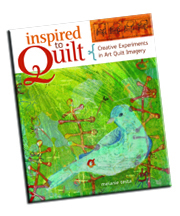 free motion machine quilting <— I had been on a matchstick quilting kick, no more. Franken-batting <—I had several 2′ strips of cotton batting floating around, time to use it up!!! I did not know there was a great descriptive like this though, so. I am using it! Don’t forget to check out my post about my June 2018 Quilty Box! I am hosting a Quilty Box GIVEAWAY and think you should win it! The Blue without You GIVEAWAY is still open too. Please leave comments on both posts. Check out the New Florabunda! Pinterest Board! So many pretty projects there! Debby Brown is giving an A La Mode Cutie pattern away too! 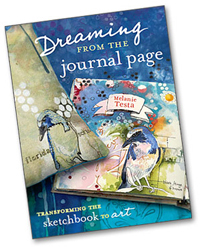 June 15—Melanie Testa <— Here! 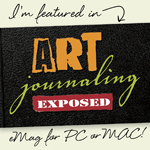 June 16–Melanie Testa <— Right Here!